Expert drainage maintenance and repairs in Chatham, Kent by JLH Drains, specialist fault finding, pressure jet washing, drain relining and no dig pipe repairs. 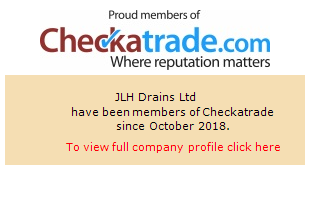 If you need a drainage problem fixed fast and professionally, JLH Drains are the specialist company of choice across Chatham, Kent. Dedicated to exceptional customer service and finding the most cost effective and long lasting solution to any problems with pipes, drains, blocked toilets and tree root damage, you can trust in our 100% success rate every time. Looking for Drain CCTV Surveys in Chatham, Kent? CCTV inspections and surveys of drains and pipes have become a critical tool for drainage maintenance and repair, and are increasingly a requirement for insurance companies if you want to claim on your buildings insurance for any works carried out. We’ve provided survey reports from across Chatham, Kent for all of the major insurance companies providing a full video and written report to detail the nature of the problem and the best approach for repairing it. Blocked drains, toilets or sinks are a big problem in the home or in business, besides putting facilities out of action they can quickly develop into unpleasant health risks. Our service, provided across the Chatham, Kent region, can deal with any problem quickly and professionally helping you maintain a sanitary environment; the service can include regular drainage maintenance works to ensure your pipeworks are functioning perfectly. Many of our customers worry about the cost and disruption of drain repairs; all that time digging things up just working out what the problem is… At JLH Drains in Chatham, Kent we do things differently, using the latest technology to ensure nearly all of our repairs are carried out without excavations. Miniature CCTV cameras find the problem, blockages are removed with high pressure jet washing and cracked pipes are relined with tough epoxy resin applied with a remote system that can save up to 75% on drain repair costs! Drain re-lining is the ultimate cost effective, no-excavation solution to problems like cracked drainage pipes and misaligned joints, provided to homeowners and businesses across Chatham, Kent. Once a split or crack is located in a pipe, we insert an inflatable tube coated in a liquid resin solution, one inflated the tube presses the resin against the interior of the pipe seamlessly lining it. After curing the resin dries hard and the tube can be removed effectively leaving a brand new drainage pipe behind. Looking for Drain Excavation in Chatham, Kent? Sometimes excavation is the only way a drain repair can be carried out; a pipe may be damaged beyond the capabilities of re-lining and need replacement, or it may need re-benching or repairs to the structure holding it in place. Working for domestic homeowners and businesses across Chatham, Kent we make quick work of excavations utilising tools like sonar and CCTV surveys to fault find quickly an minimise the amount of digging that has to be done.